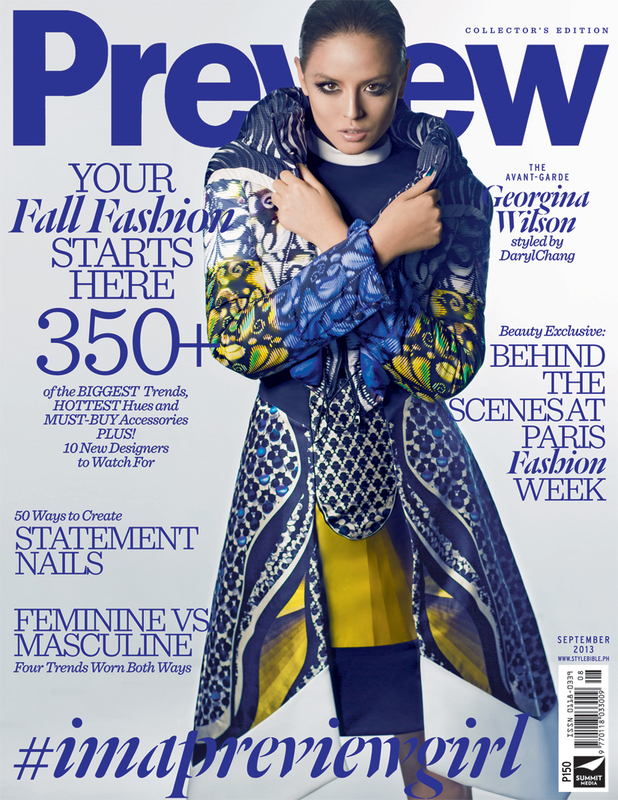 Preview’s September issue is a feast for the fashion lover. It girl Georgina Wilson stars in three different covers, in three fierce fashion transformations, with a fourth cover free with Preview’s digital version. Styled by Creative Director Vince Uy, Fashion Director Daryl Chang, and Fashion Editor-At-Large Liz Uy, the cover looks kick off what the September issue means in the fashion world—the real beginning of the year, showcasing key trends and must-haves. We delve deeper though, and get to know Georgina Wilson not just as a pretty face, but as the poster child for this generation’s ruling power: social media. With over 1.3 million followers on Twitter and over 500,000 on Instagram, Georgina treads her own path and creates her own brand—all with the smarts and flair she is so often known for. Her drive and road to success is a true example of what it means to be a Preview Girl. Check out #ImAPreviewGirl throughout the month to see various film interpretations of the hashtag. To view the first one, log onto www.rappler.com. Are you a Preview Girl? Seal the status with the hashtag emblazoned on a leather luggage tag made by local manufacturer S.C. Vizcarra, a family-owned studio that started off with hand-embroidered products and has since expanded their line into other artisanal goods. Get the bag tag for free with a copy of the September issue in National Bookstore, Powerbooks, Fully Booked, Robinsons Department Stores, Watsons and select newsstands nationwide. 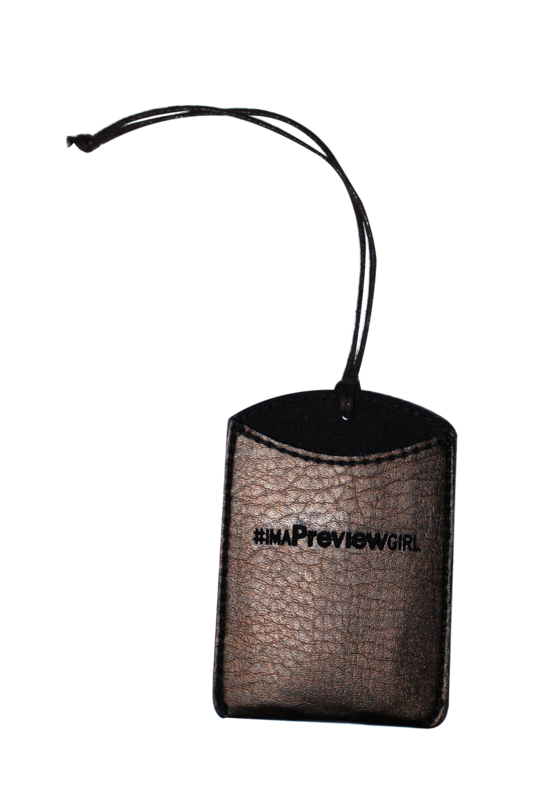 All copies of the magazine also come with The Fall Accessory Guide presented by Preview and SM Accessories. Even more exciting is from September 7 to September 15, Preview’s September issue is free for download on Apple Newsstand and Zinio so you can enjoy the digital copy on your devices anytime—free of charge. Seal your #ImAPreviewGirl status with this S.C. Vizcarra leather luggage tag—free when you buy a copy at select bookstores, department stores and newsstands nationwide. 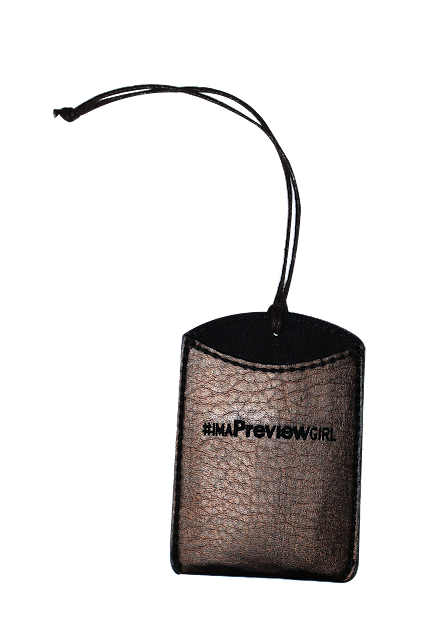 The Fall Accessory Guide presented by Preview and SM Accessories. Mr. Worldwide Live In Manila!